Skincare is essential. Even if you are 16 yrs old you should take care of your skin, it has nothing to do with crossing a certain age. Yes, I do agree, it gets complicated in terms of skin maintenance later. However, thanks to technology and science, innovative skin care products are popping up in the market to cater to our specific needs. I have been using PRIORI Advanced AHA Skin Renewal Cream for over a month, a good enough time period to feel and see some change. What really happened after I used it? 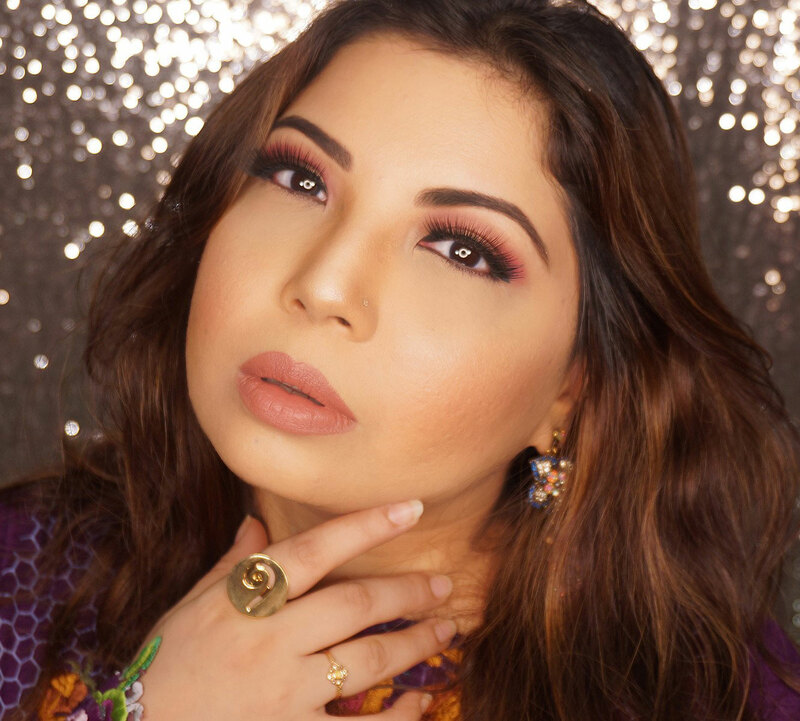 It's still hot and humid these days in Karachi, but that doesn't mean you neglect your skin and skip hydration. Nonetheless, I am very particular about skincare products and always do a skin test. This is something everyone should follow. It is a royal pain getting rid of scars, burns and rash marks so better to avoid and take precaution as much as possible. I was looking for a good day cream that can also help with skin rejuvenation and not just moisturize. 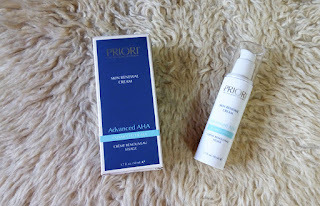 I received *PRIORI Advanced AHA Skin Renewal Cream from Cosmo Group for review which gave me an opportunity to test something I actually needed. 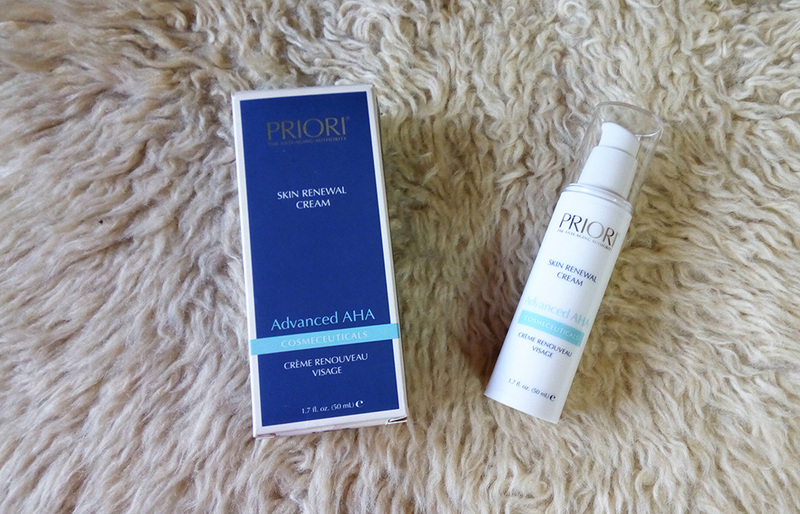 "PRIORI Advanced AHA Skin Renewal Cream is a special combination of antioxidants and lactic acid to provide superior anti-ageing skin benefits. 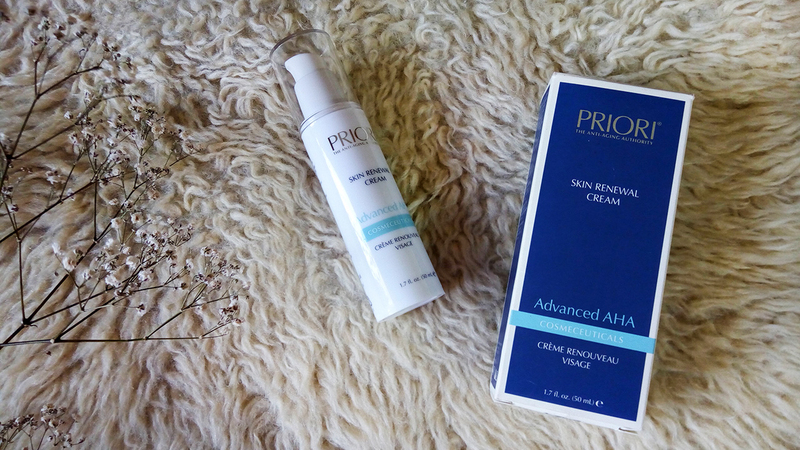 Advanced AHA Skin Renewal Cream is also formulated with Priori’s® exclusive LCA Complex (16%), which utilises a unique blend of Lactic Acid and Sodium Lactate with an Antioxidant rich blend of Vitamins A, C, E and Pro Vitamin A to protect the skin from free radical damage and diminish the signs of ageing." The Priori Cream comes in deep blue box with a very simple, clinical, looking design mainly focusing on text rather than anything else. The 50ml pump bottle is a bit tricky to use. You have to keep it upside down and even when using it you need to tilt it downwards before pumping out your cream. Initially I thought the pump was broken but then figured it out. This cream focuses on reducing fin lines and wrinkles while making the skin smoother as well as soft. The formula is light weight and just a pea size is good enough for your entire face and neck. More than that can get greasy. Advanced AHA Skin Renewal Cream is rich in Humectants and Emollients and is free from Parabens, Oil and Fragrances. The cream also exfoliates which results in a visibly softer, glowing skin with reduces fine lines. I am lucky enough not to have wrinkles yet but my laugh lines are a little irritating at times. After using this cream for a month I did notice that my skin is smoother and looks fresh. However, my dark spots have not reduces in any way. I do like using this cream but at times it does make me sweat. It blends well with foundations and I have had no issues there so far. My only concern with this cream is that it has no spf which is a major requirement for me. 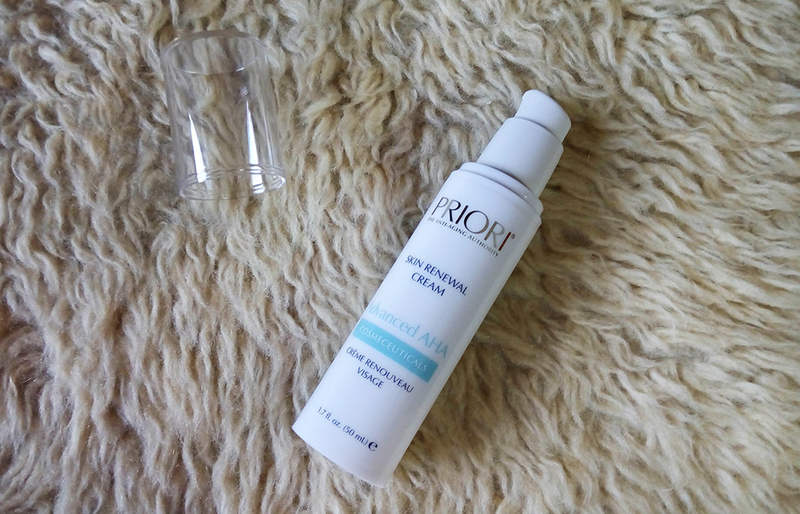 I prefer having a cream with all the benefits of Priori Skin Renewal Cream + SPF. That would be ideal. Plus a version that is mattifying wont hurt either as that tackles the humidity well. 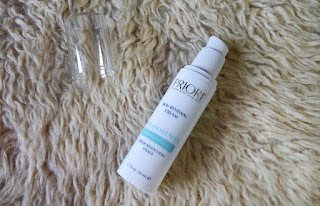 Priori Skin Renewal Cream is ideal for all skin types, including dry, sun-damaged skin. I may or may not buy it again, still contemplating, but I am enjoying it while I am using it. You can buy this cream from Amethyst by Roohi for PKR.3.170/- Do keep in mind that GOOD skincare brand is never cheap. If it's cheap, its no good, tried and tested many times.